LONDON, UK / ACCESWIRE / August 10, 2017 / London Sash Window Repairs is offering additional services to further improve the energy efficiency of sash windows. The company, which specializes in replacing single pane glass with double glazing panels, can also install draught proofing to sash windows in London. The process is so affordable and efficient that it more than pays for itself in saved energy costs. The service offers genuine return on investment by reducing energy consumption, which in turn reduces the carbon footprint of a home. 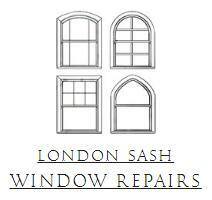 The service is good for both the customer's wallet and the environment, offering the most affordable sash window repair London has to offer. The company can efficiently upgrade original sash windows, with quality repair and restoration available in addition to sash window draught proofing. Many of these windows have been in place for 130 years or more, making them authentic period features with character and charm. A sympathetic restoration, with energy efficiency in mind, allows them to remain viable for many years to come. To help people understand the benefits of the services available, the company has created new resources on their website, including an honest discussion of when it is best to repair or replace sash windows, and a calculation of the costs and benefits to draught proofing over replacement. A spokesperson for London Sash Window Repairs explained, "We are thrilled to introduce this new expansion to our suite of sash window restoration services. Sash windows are beautiful, original pieces of architecture and homes needn't lose them to get the best performance. We help homeowners avoid costly replacement by improving their efficiency with double glazing panels, and now with draught proofing materials that keep homes better insulated for less. We hope this new service encourages more people than ever to upgrade their sash windows." About London Sash Window Repairs: London Sash Window Repairs Ltd specializes in the restoration and repair of sash windows. London Sash Window Repairs Ltd are able to repair 99% of all windows they work on. The company is one of a handful of companies that specialize in double glazing original sash windows, ensuring an upgrade requires no additional joinery. They can save homeowners thousands of pounds on a typical home installation.